A beautiful, ergonomic desk chair in recognizable design by Finnish designer Yrjö Kukkapuro. 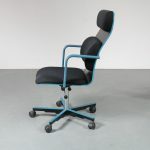 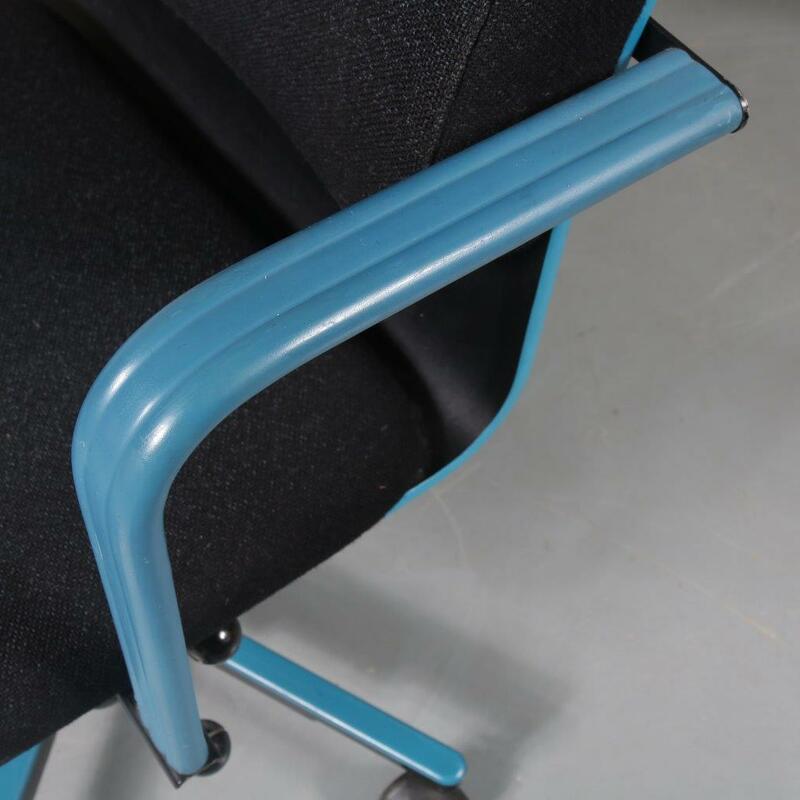 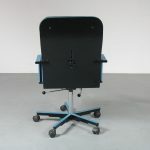 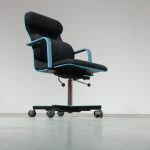 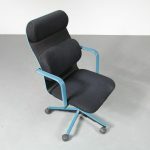 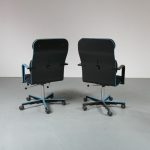 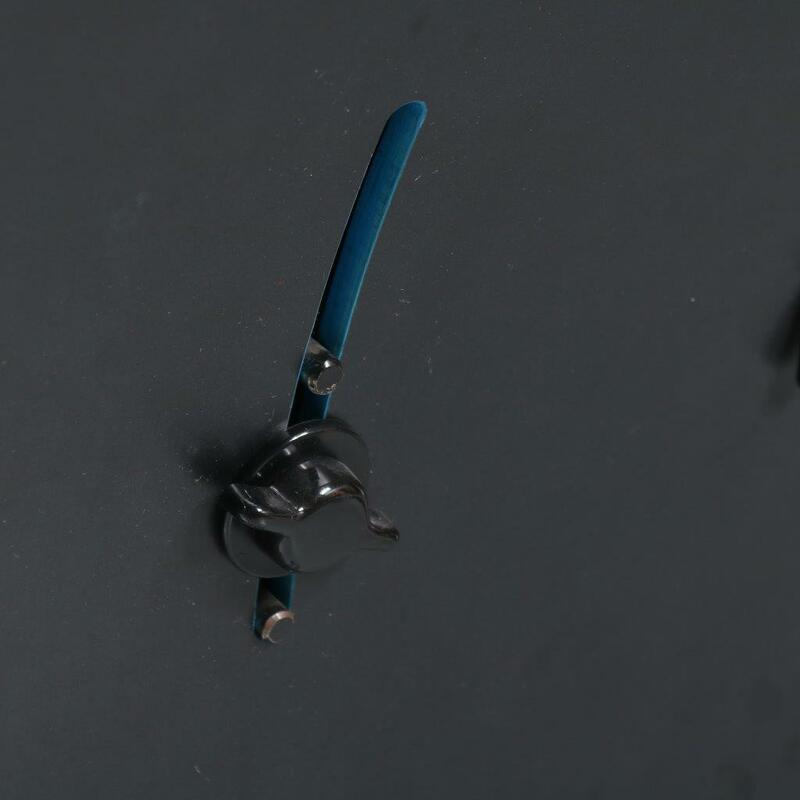 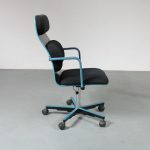 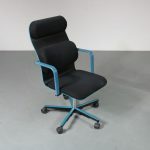 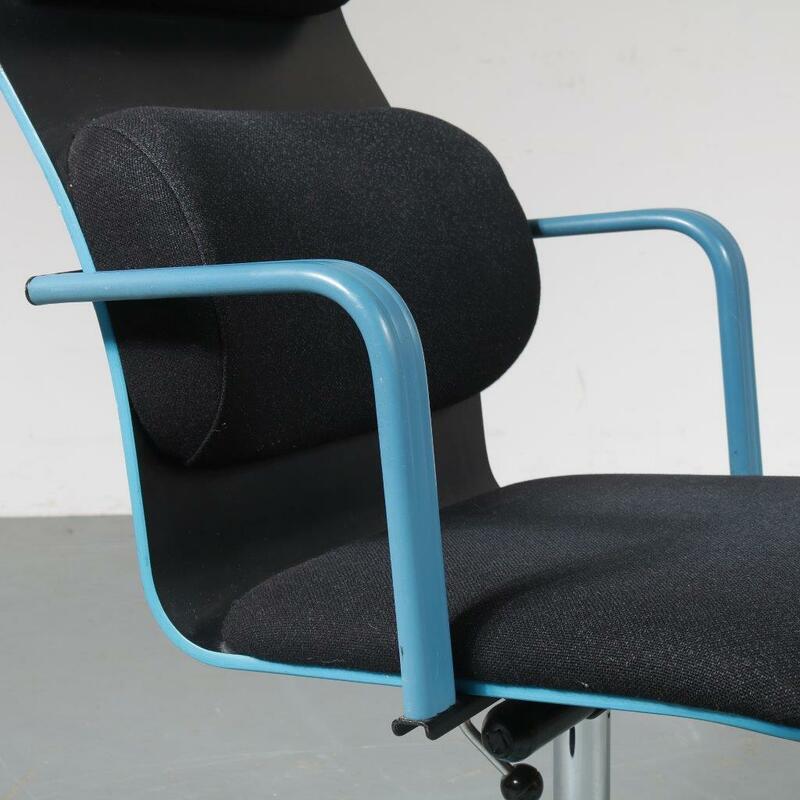 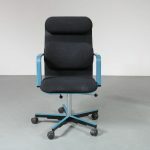 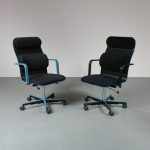 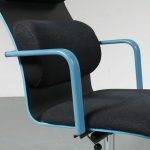 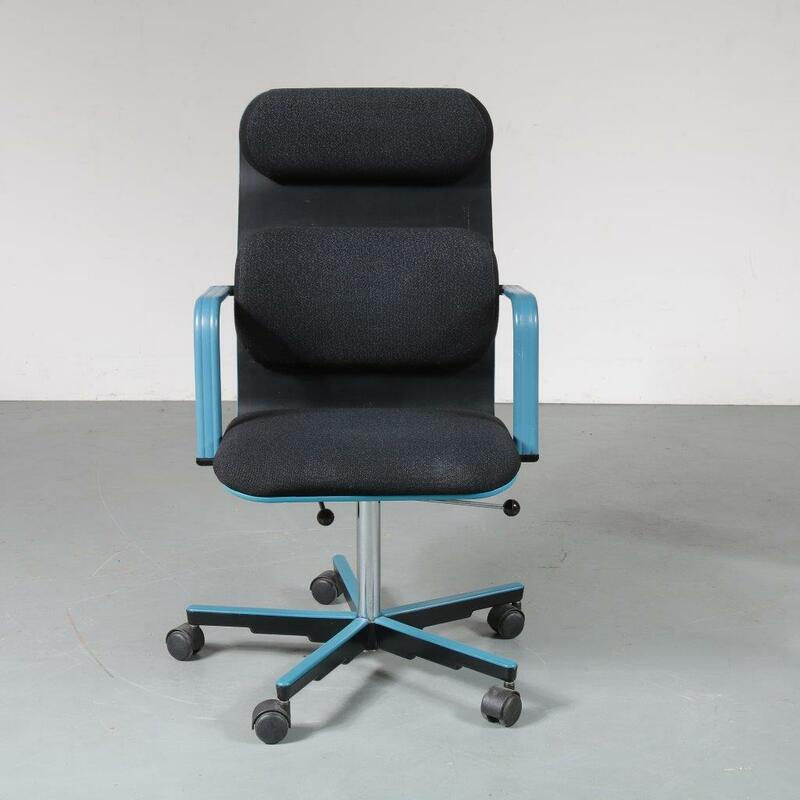 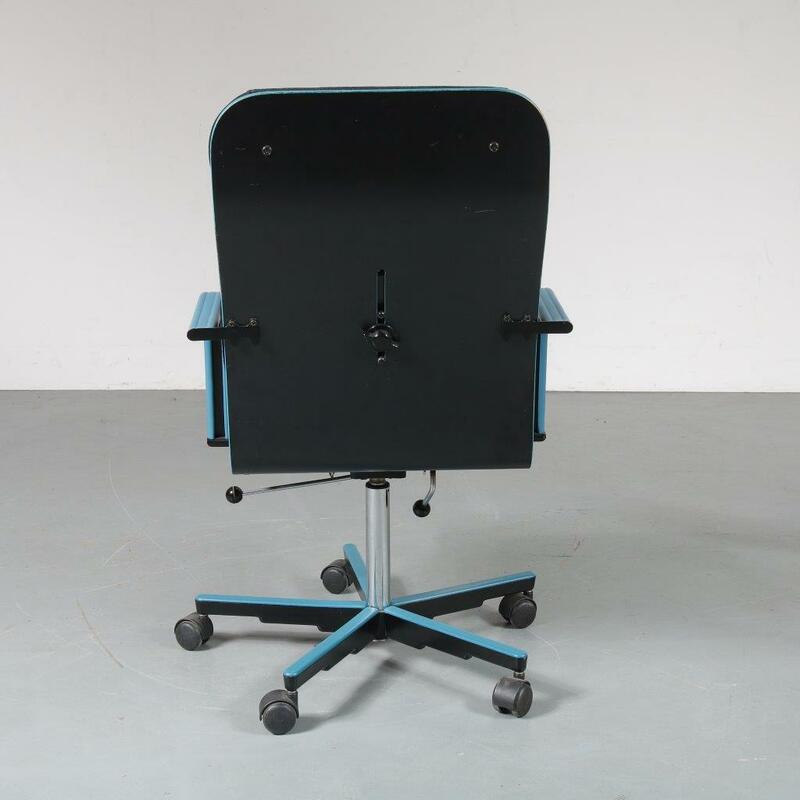 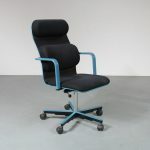 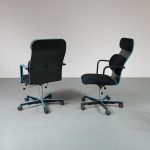 It has a black lacquered metal frame with bright blue outlinings, contrasting very nicely to the black fabric upholstery. 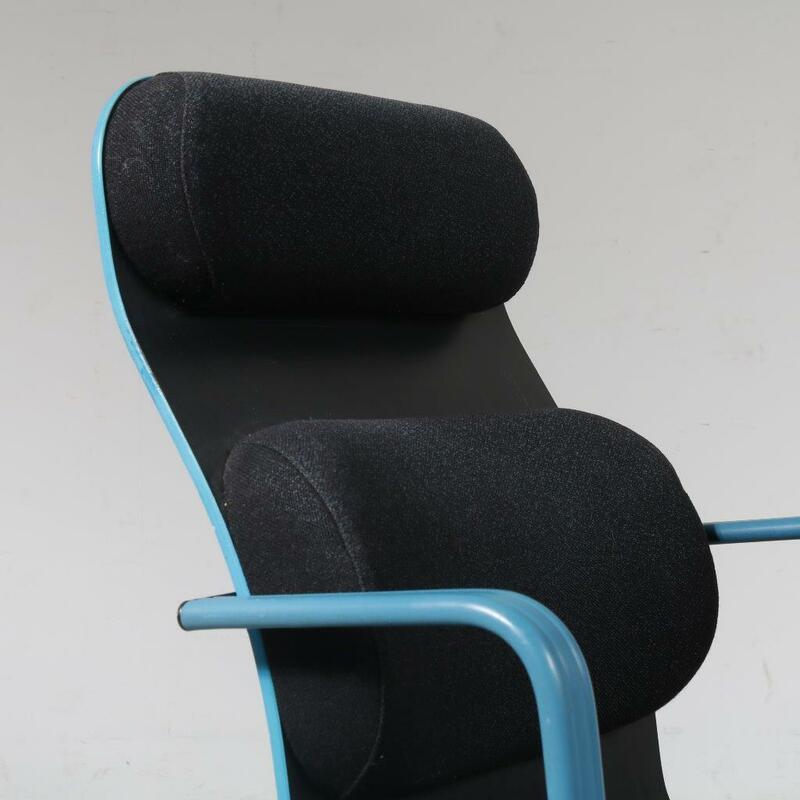 The seat is slightly curved and together with the cushions this creates an ergonomic and nice seating comfort. 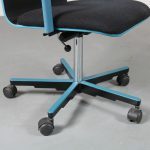 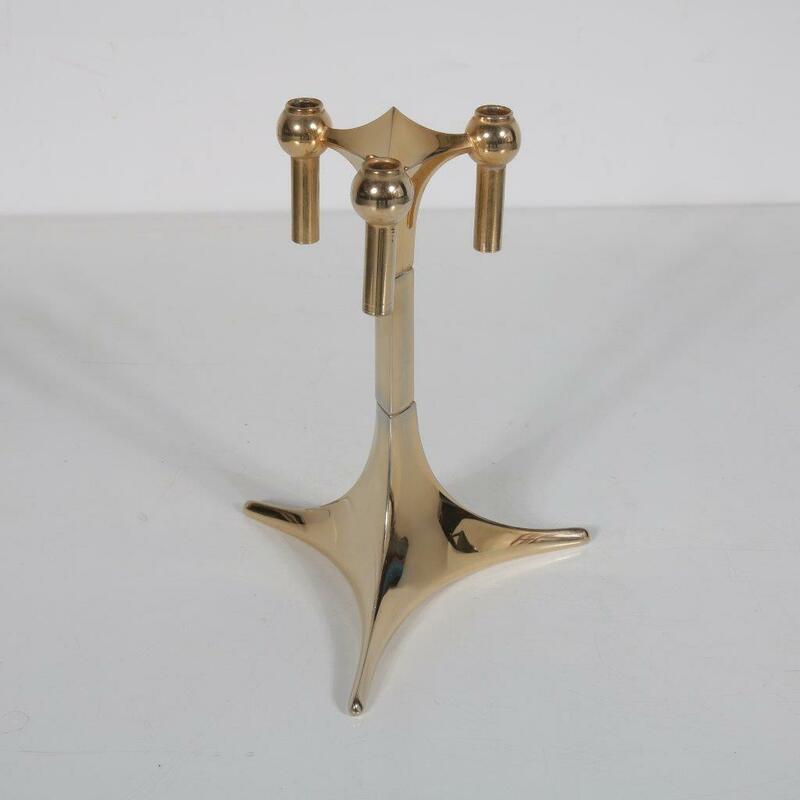 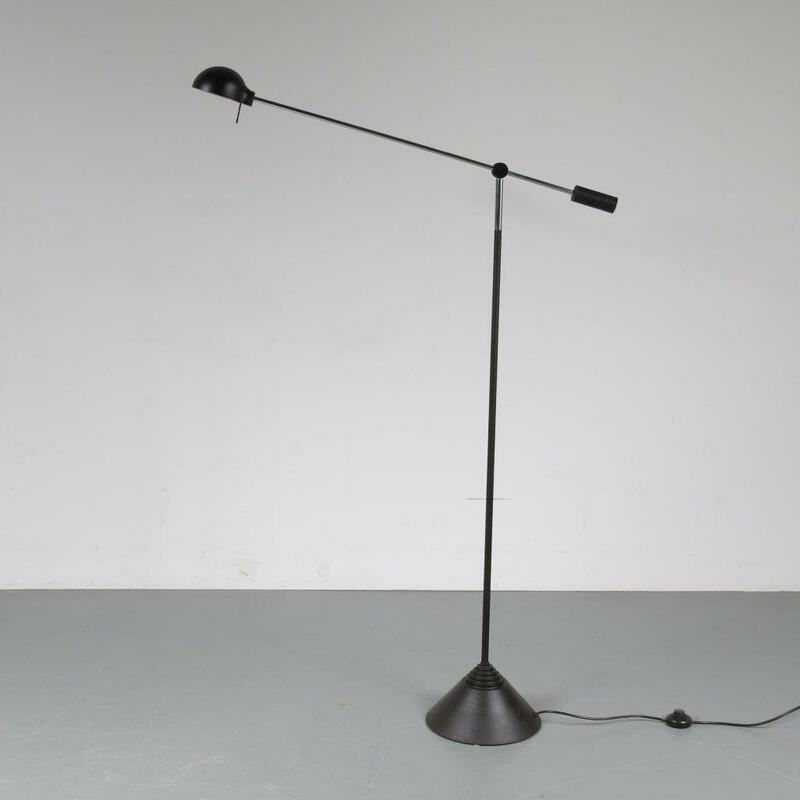 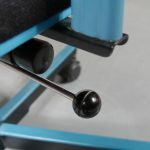 It has wheels for easy movability and a swivel mechanism and is adjustable in height. 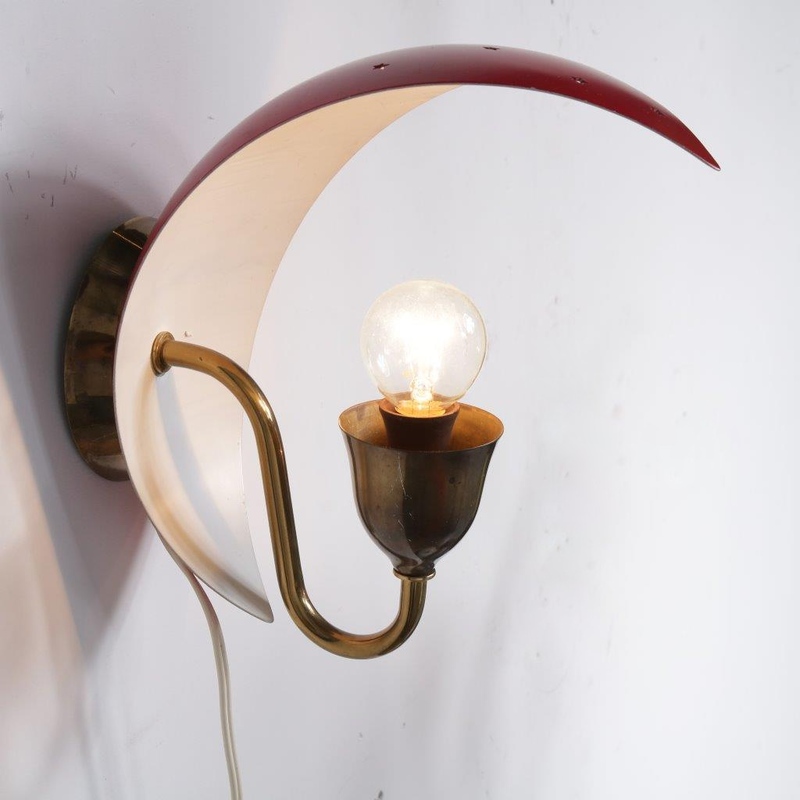 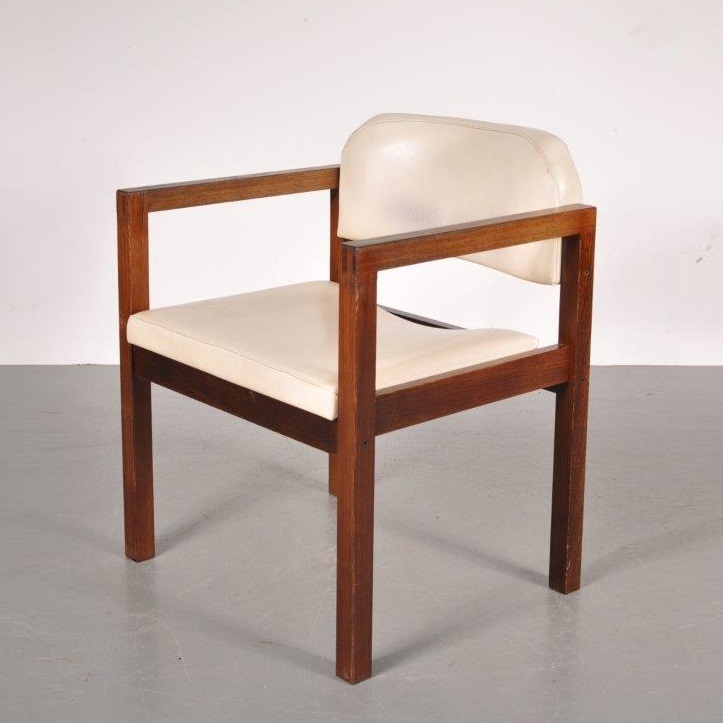 It remains in very good vintage condition with minor wear consistent with age and use, preserving a beautiful patina. 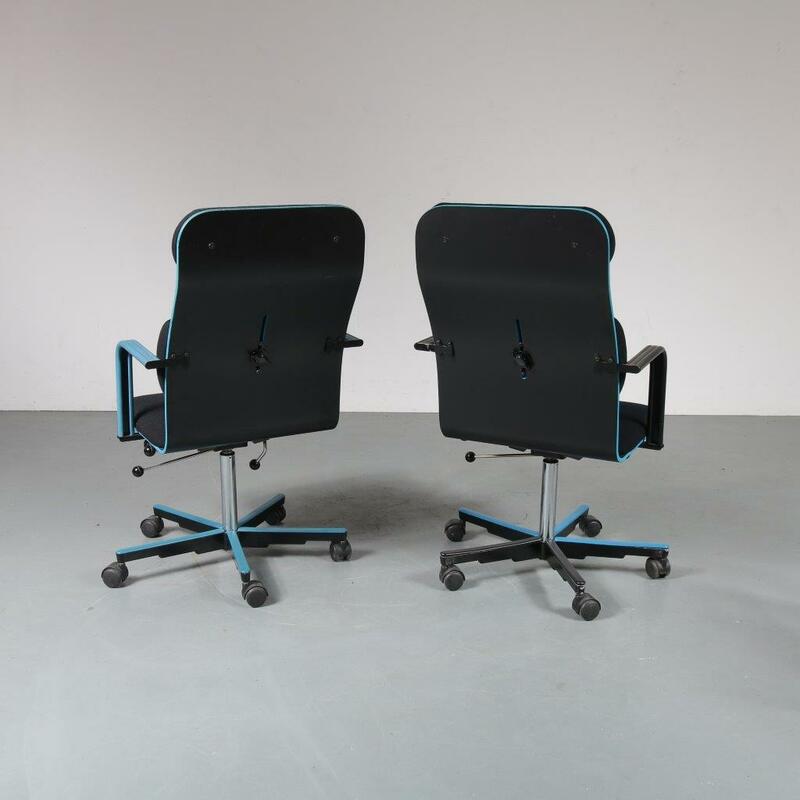 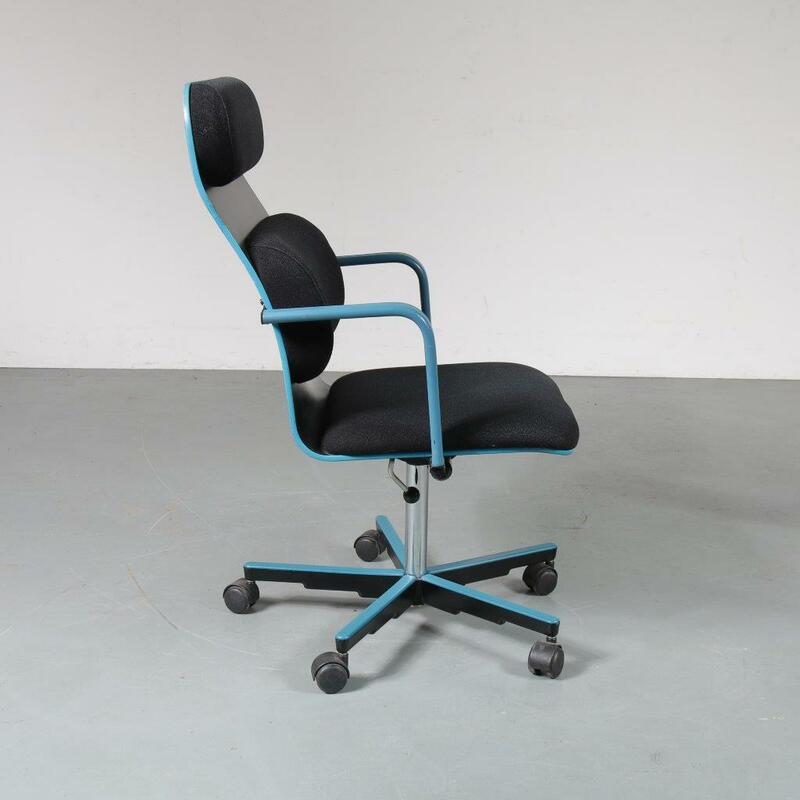 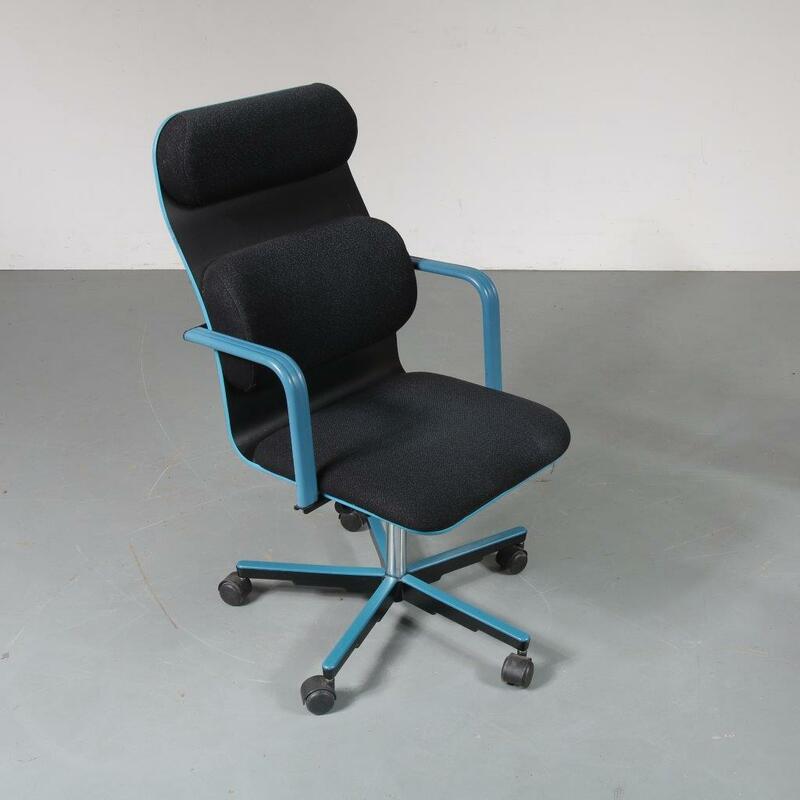 We have a matching piece available with black armrests, please check for latest stock info!